Episcleritis is an acute inflammatory disorder of the episclera, the thin tissue between the conjunctiva and the white sclera. The episclera houses a thin network of blood vessels. Episcleritis usually looks much worse than it actually is. Although most cases of episcleritis go away on their own if left alone long enough, about one-third of cases are linked to hidden inflammatory problems present somewhere else in the body. Episcleritis sometimes produces a section of redness in one or both eyes. Some people may develop a white nodule of tissue in the center of the redness, known as nodular episcleritis. Many people with episcleritis have some associated pain or discomfort, but others have none. Other symptoms that may occur with episcleritis are sensitivity to light (photophobia) and a watery discharge from the eyes. In most cases of episcleritis, doctors find it difficult to find out a clear cause. In more severe forms of episcleritis, underlying conditions such as inflammatory bowel disease, Crohn’s disease, and ulcerative colitis are usually the culprits. Rheumatoid arthritis, psoriatic arthritis, polyarteritis nodosa, sarcoid, lupus, and ankylosing spondylitis have also been known to manifest their inflammation as episcleritis. There are two forms of episcleritis: simple and nodular. Simple episcleritis: The most common type, simple episcleritis causes bouts of recurring inflammation. Each bout usually lasts from 7 to 10 days, although longer episodes may occur when the condition is associated with another systemic condition. Nodular episcleritis: Nodular episcleritis produces more painful attacks of inflammation. Many people with nodular episcleritis have an associated systemic disease. In some cases of episcleritis, scleritis may develop, an inflammation of the sclera that can cause intense pain and loss of vision. Contact your doctor if you have symptoms of episcleritis that last for more than 2 weeks or if you have a loss of vision. Episcleritis occurs in the thin tissue between the conjunctiva and the white sclera. The episclera houses a thin network of blood vessels. The sclera is the tough, white exterior coating of the eyeball. 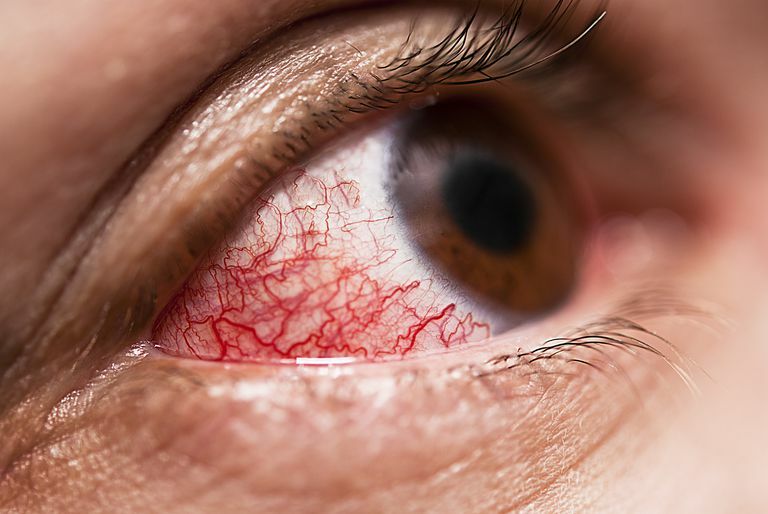 Although having episcleritis is definitely a cause for concern, scleritis is usually considered a more serious condition and often is more painful and tender to touch. Scleritis can even be a blinding disease and is typically associated more with autoimmune disorders such as rheumatoid arthritis. Optometrists and ophthalmologists are trained to differentiate between episcleritis and scleritis. Because scleritis is sometimes related to systemic autoimmune conditions, your condition will be co-managed with a primary care doctor, rheumatologist or internal medicine physician.